Jill Generates $65K from One A-List Buyer-How you can do it too. Jack Butala: Good morning, Jill. 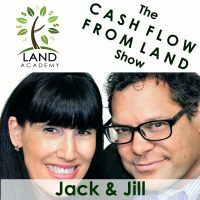 Jack Butala: Hey, before we get started … Well, the title of this podcast today is “How Jill Generated $65,000 From a Single Buyer Without Spending a Dollar”, but before we get started, I wanted to share with our listeners what we’ve been doing with this local university. Jack Butala: Jill and I were invited by a professor of a local university here, I’m not going to use their name yet, we probably will in the coming episodes, but … because we just don’t have permission to use their name, but I’m sure we will. 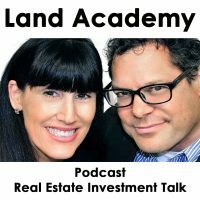 We’ve been invited to do a series of talks about helping younger people get involved in real estate, kind of the benefits and the methodology and the just-plain-grassroots “how to do it” of real estate investing, and then why Land Academy has been also so successful. I thought, personally, we’re only a few months into this thing from a distribution standpoint, so I thought it was kind of a feather in our cap that a university would actually ask us to, as an academy, as a sort of an offbeat learning environment, if they would ask us to help them teach people. We did the first class today, and guess what? They need our help. Jill DeWit: It was awesome. Yeah, we’re going back the next four weeks, I think. Jack Butala: I know this is completely off-topic for the podcast, but my gut was that, boy, I really think we can help these kids learn some stuff. Jill DeWit: Oh, that too. Yeah, it was super-interesting to hear where they are, and this is a 400-level class, so this is a … These students are almost done with their degrees. This is bachelor degree, upper division, 400-level class, and, boy, we brought a lot. sting as … I guess we record everything now. It’s kind of weird. Jack Butala: I think they’re getting smaller and cooler and easier to deal with and the whole thing. Jill DeWit: There we go. That’s funny. Jack Butala: Anyway, we’ll keep you up to date. We’re teaching some people some stuff, I guess, which is good. Jill DeWit: It’s fun. I love it. Jack Butala: Anyway, tell us about this real estate deal that you’ve just done, or you’re just about to get done, I guess. Jack Butala: We’re trying to get him on the show, on the podcast show. Jill DeWit: -for the summer, and he’s here and he’s there, and it was funny because he’s like the reason we’re kind of doing stuff right now because he’s only here for a couple of weeks and then he’s going to take off for another few months again and just travel and have fun. I’m like, “That’s great.” Anyway, he told me he was in kind of a buying mode right now and had some cash, and I said, “All right.” I sent him a nice list of things that I have not purchased but I have options agreements on, and he and I just, he was trying to get in touch with me all weekend and we finally hooked up a little bit this morning, and he’s isolated at least, he stopped counting at nineteen, he was kind of going down my list, it’s like, “I think we could put together something great.” Anyway, that was this morning. We’ve spoken, and it’s looking like it’s going to be a really great sixty to seventy thousand dollar net-to-us transaction. Jack Butala: Explain to us, for those of us who don’t know, how an option transaction works. Jack Butala: Because it’s the bread and butter of … This is the original no-down real estate model. Jack Butala: Zero cash real estate. Jack Butala: Let me take a couple steps back first. Jack Butala: We send out tons and tons of direct mail, we send out offers, we have since for a very, very long time. Right after Jill’s done describing this transaction, I’m going to tell everyone how to build a pretty substantial A-list of buyers pretty quickly. We send out a ton of offers for a vacant, [inaudible 00:05:19] vacant rural land, and they call us back. They call Jill back, or her staff back, and they say, “Hey, thanks for sending me the offer, I want to go ahead and sell you my property,” or they want to renegotiate it or whatever, but it generates … Constantly in our world, there’s this long list of possible properties that we’re going to buy, or there’s a list of property that we are buying, it’s all in different stages of the acquisition, but the list is huge. You showed the appropriate points of this list to one of our A-list guys, and then go ahead. Jill DeWit: He picked out several, not just like two, three, four, like twenty-plus properties that he wants to acquire from us, and it’s perfect. The nice thing is, I already knew it kind of going into it, because we’ve been working together for so long. There’s properties I get calls on I can spot right away and I know who they’re perfect for and who’s going to want them, and I know kind of what their price point is, I know what I can buy it at and what I can sell it for, and then I have a good idea what he’s going to do with it. Everybody wins. That’s the best thing. I love being, because I’m … As a wholesaler, this is the perfect thing. I didn’t have to market it, I didn’t have to do anything, I pretty much take it in my inventory and make one phone call, and that’s it. To back up a little bit, how an option property works is I’m not outlaying any cash, but I’ve negotiated with that seller the price that I’m willing to pay and they’re willing to accept, and we put it in writing. 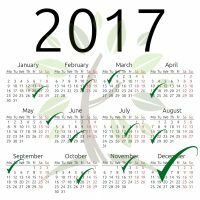 I have x amount of days, whatever they and I agree on, that I’m going to go out and market it on my list and try to sell it for whatever price I come up with, and then if it sells and when it sells, I turn and I pay them their … How do I say this? It sells, I accept the payment, and then I turn around and pay the seller with what we had negotiated. Well, the best scenario is what’s happening right now, and I do this often, it’s so nice. I didn’t even have to market it. I did the options agreement. We have a nice little contract basically. Everybody’s happy, they’re excited knowing that, okay, here’s the price that they’re going to get, I need a couple days or weeks to come up with it kind of thing, and I’m going to go try to sell it, and, gosh, all I do is make one phone call and it’s done. Jack Butala: Yeah, so let me give you a real working example. Let’s say we send a letter out, or we actually send offers out, so we send an offer out to a seller for a five acre property, let’s say, I don’t know, in California. We usually send out an offer for about five hundred bucks for that type of property. They receive the letter and they call Jill back and they say one of two or three things. The first thing is, “Heck yes, I’ll sell my property for five hundred bucks, where do I sign? Oh, I sign here, I’m going to send it back.” Then we fund it, we actually go to deal and buy it. Jill DeWit: Yeah, and sometimes they don’t go this fast, and you’re right, that’s a good point because they have a certain price and I’m confident but not that confident, I’m not going to lay out the cash out of my pocket yet. I want to see how it goes. Then again, I don’t worry about it when it’s an option agreement, because I have not spent the cash. The smokin’ deals, the ones that I’m so excited about, oh yeah, I come up with the cash. Jack Butala: “Come up with the cash,” you’re hilarious. Jack Butala: I can hear everybody on the other end of the, whoever’s listening, saying, “Well, that’s great, you guys have been in business for fifteen years. Of course you have an A-list, it’s already been all established. What the heck do I do, I’m just starting out.” I can here them. Jill DeWit: You can develop you’re own A-list. Jack Butala: How would you do that from the ground up? When you joined me, we joined forces, I guess, six or seven years ago, something like that. Jill DeWit: I would stand on the corner with a sign. I’d do the flippy sign thing. Jack Butala: The flippy sign thing. Jill DeWit: Going out of business, [crosstalk 00:10:37] list. Jack Butala: What would you wear when you were doing that? Jill DeWit: Depends on where I am. It’s cool here today, so it would not be a bikini. I would wear a bunny suit, no, I’m just kidding. Jack Butala: A bunny suit. Jack Butala: Oh, my god. Jack Butala: I just read our iTunes. I don’t know if I, stop me if I shared this with you, but somebody went and gave us a five-star rating on iTunes, and this is what they said. Jill DeWit: Dude, there’s several five-star, you act like there’s only one. Jack Butala: Well, there’s lots, but this is one that stuck out with me. This is what this guy wrote. Jack Butala: “Between all of their banter back and forth, there’s actually some good information in this podcast.” Did you see that? Jill DeWit: I didn’t see that one yet. No, that’s funny. I hope that was meant with love and like it was good stuff. Jack Butala: It was I think, I don’t know, this podcast could probably be like three minutes. Jill DeWit: There we go. I was going to go with ten. Yeah. Okay. Jack Butala: This, this, this and this. This, this, this, this, and this. Then you’re going to make a ton of money and then we won’t have any fun, we won’t talk about Jill in a bathing suit on a corner, for a lot of reasons. Jill DeWit: Yeah. Move on, move on, new subject. Jack Butala: Gets you thinking in the middle of the day. Jack Butala: How do you build an A-list? Sounds real simple. This is one of the good secrets that a lot of professional old school real estate guys know all about. The people who buy property like the one that you have for sale or the one that you’re trying to sell, there’s an extremely good chance that the people that own property around the property that you own are real interested in seeing the deal. We have a living, breathing proof of this that one of our members have just recently sold a ton of property. He bought out seven or ten properties in one area and then contacted the people, through various different ways, that owned the property in the immediate area, and he resold it. That’s how you build an A-list. How do you do that? How do you find people who own property in the area that you’re kind of working, or the area that you got one property? Well, it’s never been easier because the internet. You go to sites like Land Watch or Land and Farm where there’s lots of listings, or Trulia or Zillow. You find the properties that are all listed or whether they’re for sale by owner or whatever, contact those people with the property, and the more people you contact, the higher degree of success you’re going to have. You want to take it a step further, send them a letter. You can build a huge A-list by looking at [inaudible 00:13:28] a county. If you pull the ownership data in any given county, what you’re going to find is that there’s two or three or five or ten or fifteen companies, and not individuals, but actual companies, like LLC’s and stuff, that own a bunch of property. Well, it’s because they’re investors in that area, and those are your A-list people. I found, this guy that we’re talking about, we originally met at a tax auction in southern Arizona a lot of years ago. We kind of colluded, we said, “You buy this part of the list, I’ll buy this part of the list,” and then we’ve just been, I can’t even count the number of transactions that we’ve [crosstalk 00:14:04] with. Jack Butala: Well, eight or nine hundred properties, I bet, [crosstalk 00:14:09] the years. Jill DeWit: A lot that we’ve done together, it’s really nice. It’s great, it’s kind of like he wires the money, I know how he likes his deeds prepared, and it’s super-duper easy, I really like that, so … I was going to bring up a point about your reaching out to different people. Do you want to cover a little bit too, what if it’s an individual, what if it’s a realtor? Who do I hit up then, you were talking about building up your A-list. Would I be afraid of realtors? Jill DeWit: I know the answer, I just want to ask it though. Jack Butala: Every single month we give away a property f or free. It’s super simple to qualify. Two simple steps. 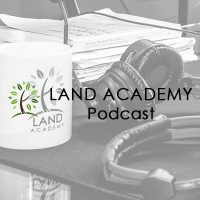 Leave us your feedback for this podcast on iTunes and number two, get the free ebook at landacademy.com, you don’t have to read it. Now go buy some property.